Although I originally intended to stagger the meal into courses, hindsight allows me the opportunity to say that it really was better all together! 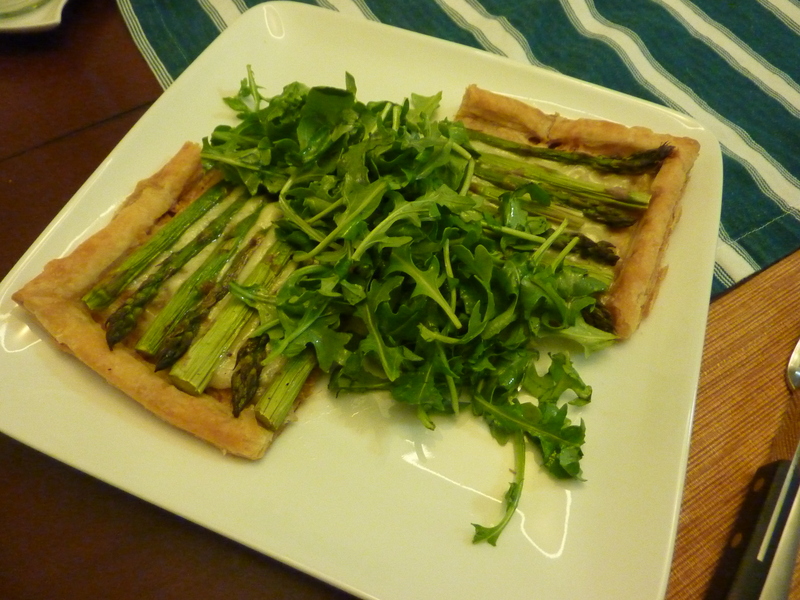 To start I made an Asparagus and Gruyere tart with very minimal adaptations of this Martha Stewart recipe served with a very light baby-arugula salad. 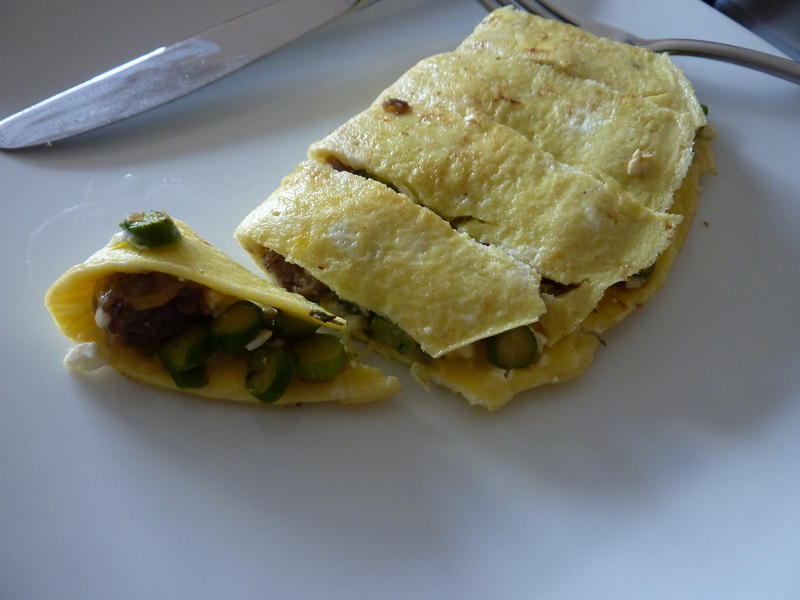 The only major change is that I only used 1 sheet of Pepperidge Farm Puff Pastry, which makes a 10″ square and only requires 1.5 cups max grated cheese and 1 bunch of asparagus. 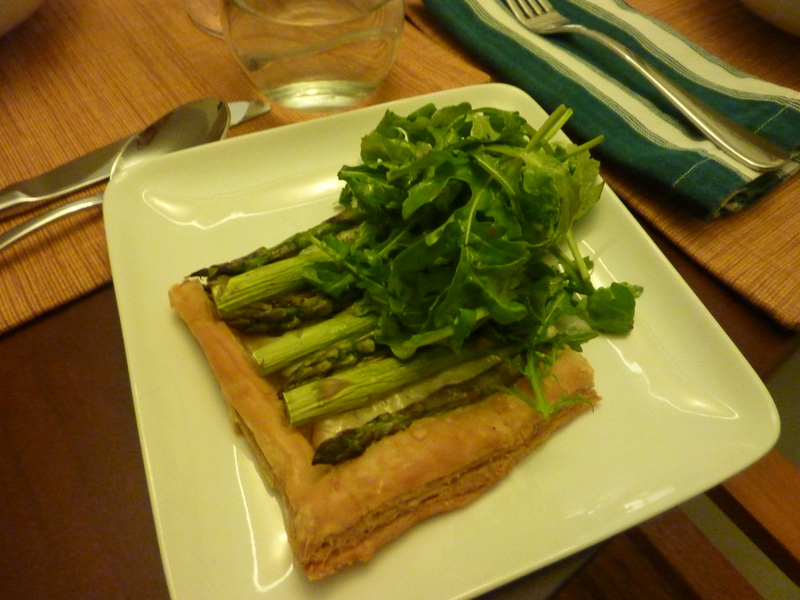 Cat and I both agreed that Gruyere is the perfect cheese for this tart – I would avoid any substitutions if at all possible! 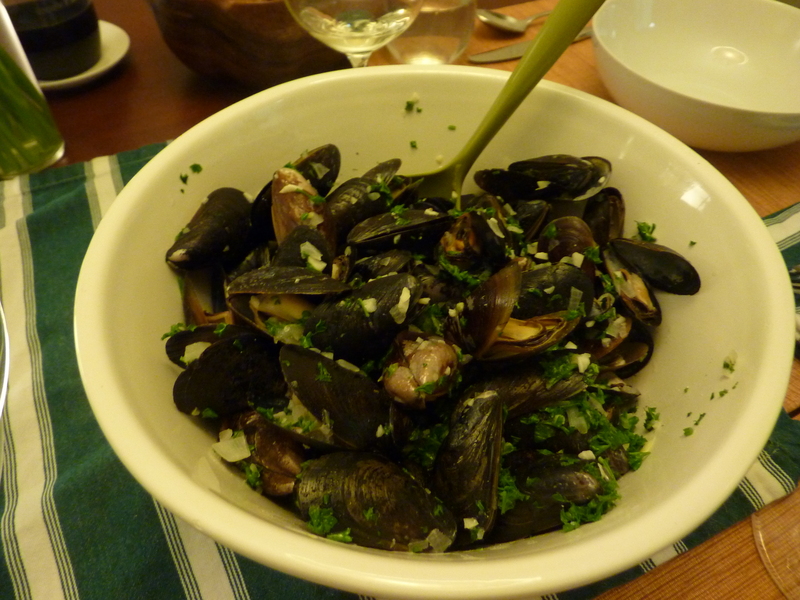 The main we shared is one of my favorite dinner party dishes – mussels! I just love sharing from a communal bowl and the fun that slightly-messy eating with your hands can bring! My standby recipe is another of Martha’s, which I accompany with lots of good crusty bread to eat up all the amazing broth! Although we certainly didn’t need any more food, we finished the meal with the most delectable treats from The Sullivan Street Bakery that were devoured before we could remember to take a picture! 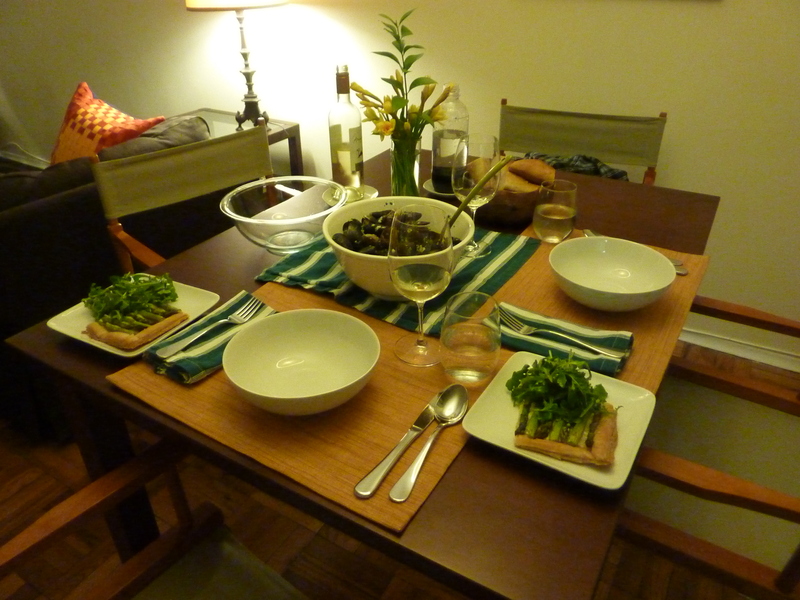 Such a simple and easy (not to mention affordable) dinner that felt like an incredible extravagance – can’t ask for much more than that! Actually, how about the world’s best leftover’s the next night? Even better! Fresh pesto is one of my favorite summer staples. Although spring’s basil is a little bitter, impatience got the best of me and I just had to make up a batch! I have the small Cuisinart 4-cup food processor below. Although you admittedly will have to work in batches, it does just fine. If you have a full size processor certainly use it. 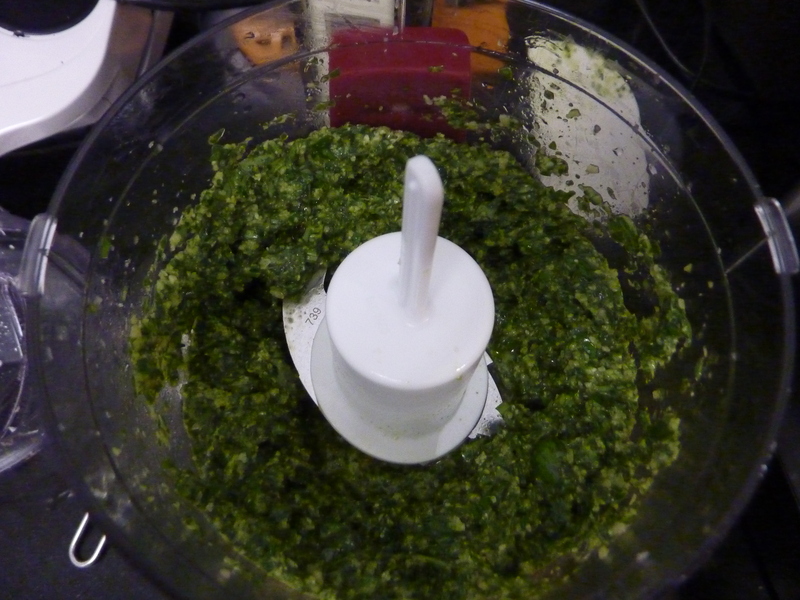 Like most all-time favorite recipes, I do not measure any of the ingredients while I make my pesto. Maybe at some point this summer I’ll take the time to measure everything out but for now these are all absolute guess-timates! Next, add your fresh basil in 3-4 increments of about 1 cup each. 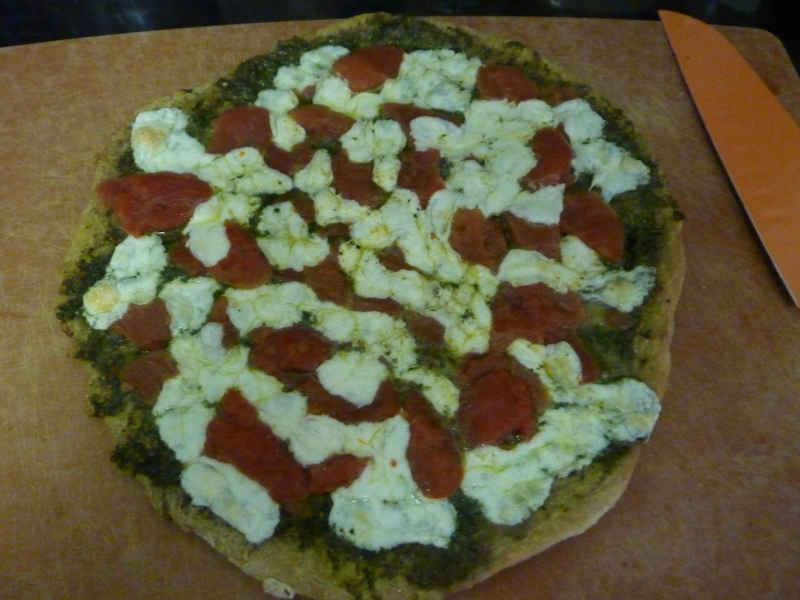 Although it may seem like a pain adding the basil incrementally I promise it really will save you frustration down the line. Because you’re asking this little processor to work very hard you need to make sure the bowl isn’t too packed so the ingredients can combine easily. 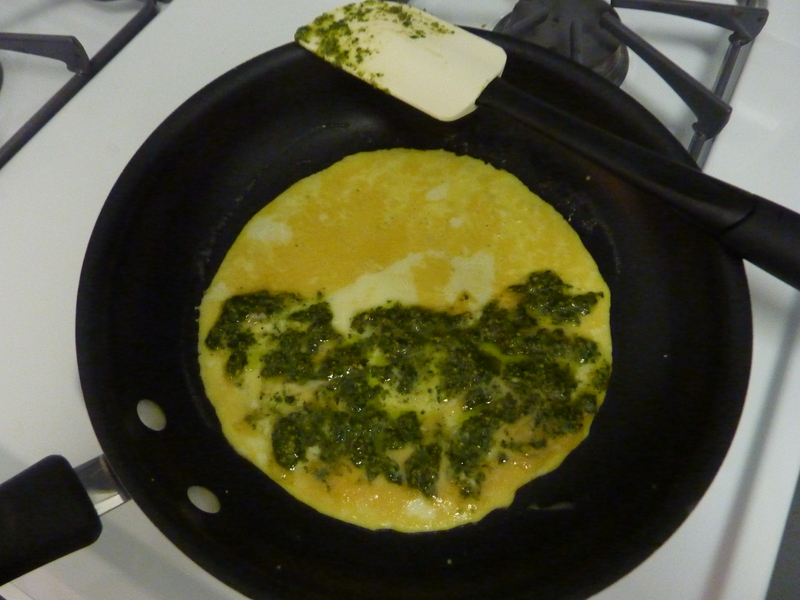 Between rounds of basil add another 2 swirls of olive oil. You’ll see it’s needed to keep your pesto smooth and your processor working as it should. The last step is to add Parmesan cheese and salt and pepper to taste. This is also when you’ll judge if any additional olive oil is needed, although try to default to less becuase you can always add but can’t ever take away! 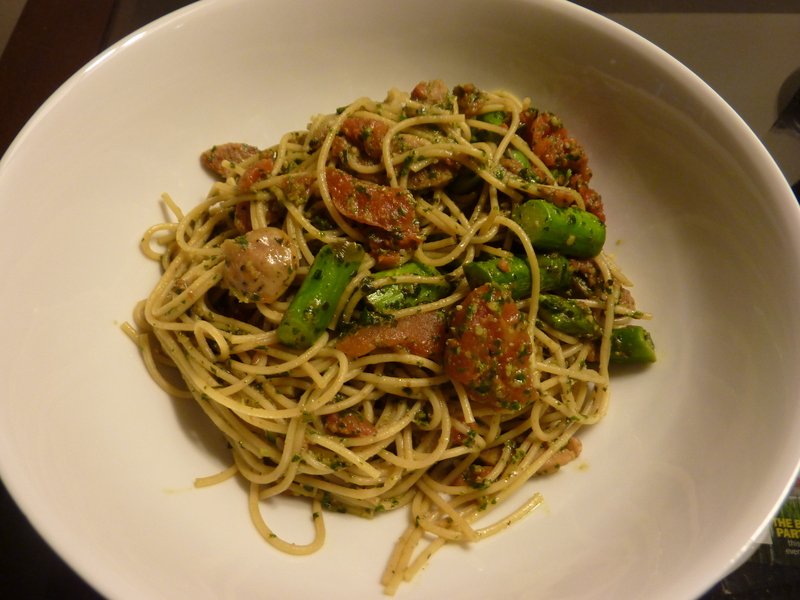 This recipe will make 1 cup of pesto, which I keep covered in the fridge for about a week. The garlic does admittedly come through a little heavy handed, so feel free to only use 2 cloves. Alternatively, I knew that I would mostly be heating this pesto and eating it warm, which mellows the garlic significantly. So, when deciding how much to use, keep in mind if you will be primarily eating it raw or warm before you make your garlic judgment. 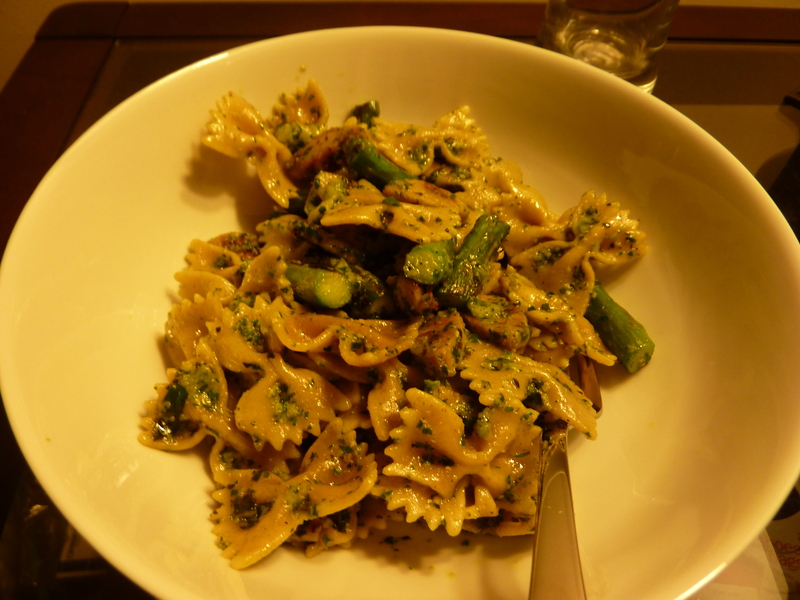 Speaking of cooking with pesto – your options are nearly endless! 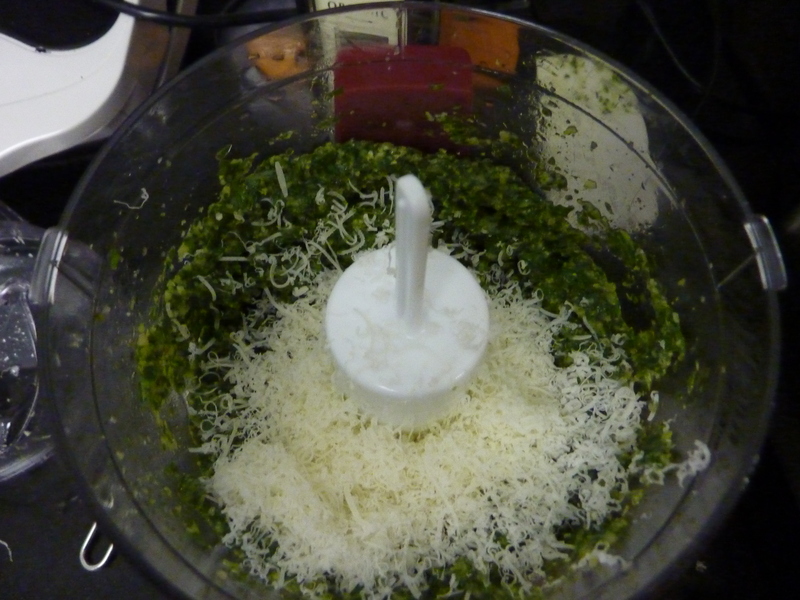 Here are just a few of the ways that I used this batch of pesto. While all are pretty standard, consider more inventive uses such as in paninis or wraps (or any sandwich), as a base for hors devours (think bruschetta) or even as a marinade/rub! The quantities above are for a big single serving and are estimated. Although it may take a few practice attempts to get this sauce nailed, I hope you’ll find that you can eye-ball the and it still comes out delicious every time! 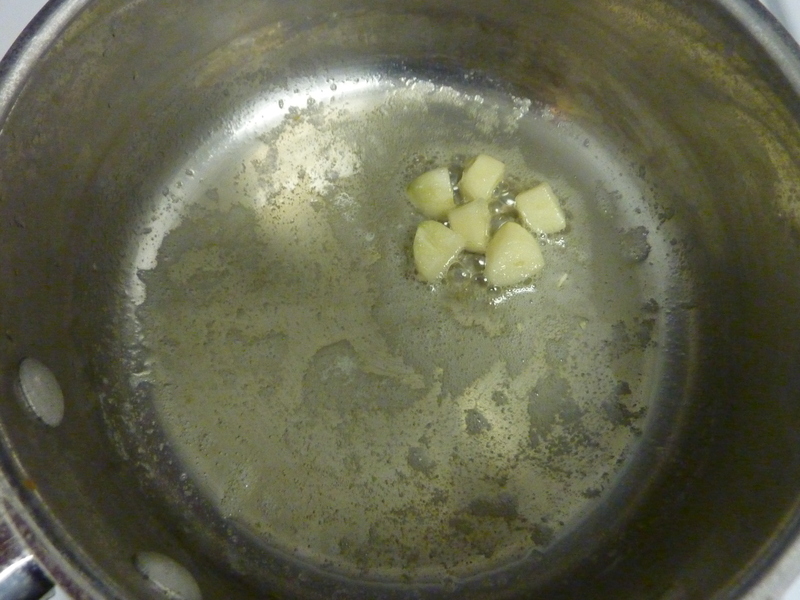 First melt your butter in a medium saucepan and toss in the garlic. 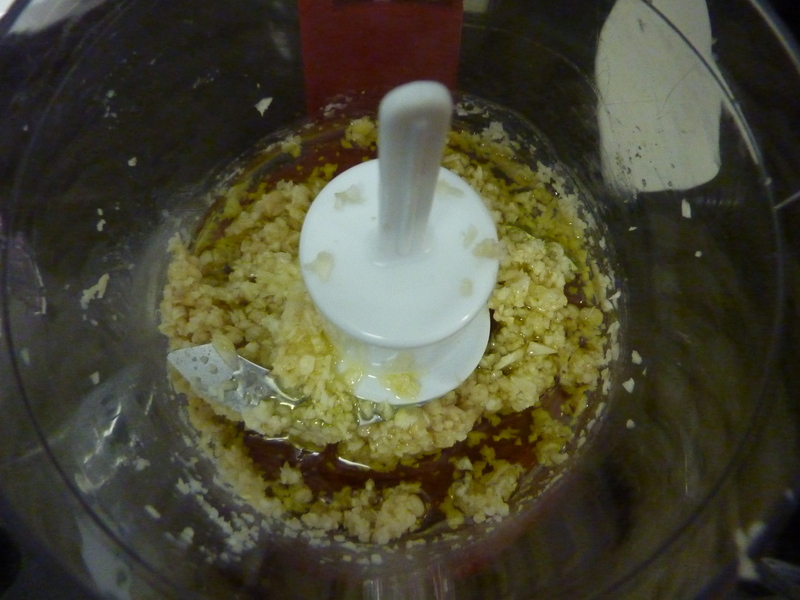 We basically are flavoring the butter so once it just starts to brown remove the cloves and move on to the next step. 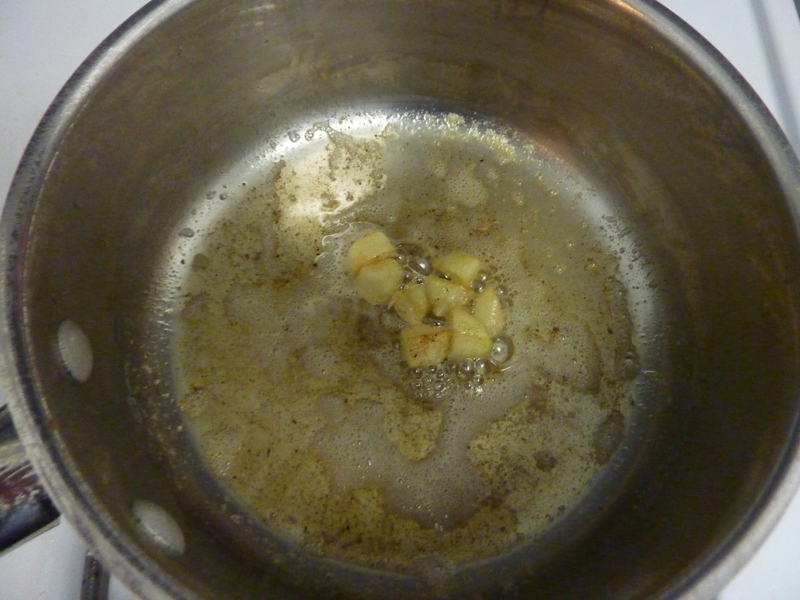 Be careful not to have your stove too hot or the butter will brown before the garlic flavor can get infused in! This is also when I add Salt and Pepper although you can wait until the very end if you prefer. From this point on you want to have a whisk glued to your right hand. I like the flexible rubber kind becuase they can get into the corners of the pan. Start by adding 1 Tbs of flour, sprinkling and whisking the whole time. 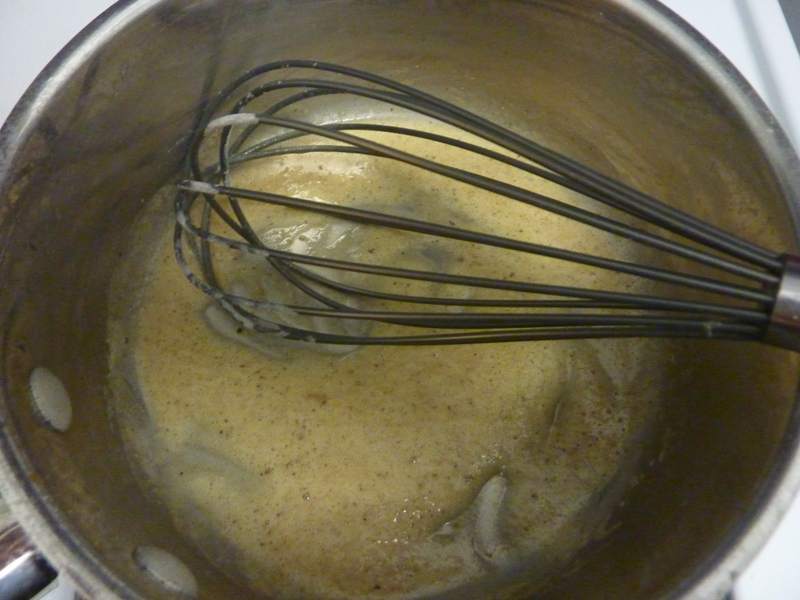 This creates a roux. 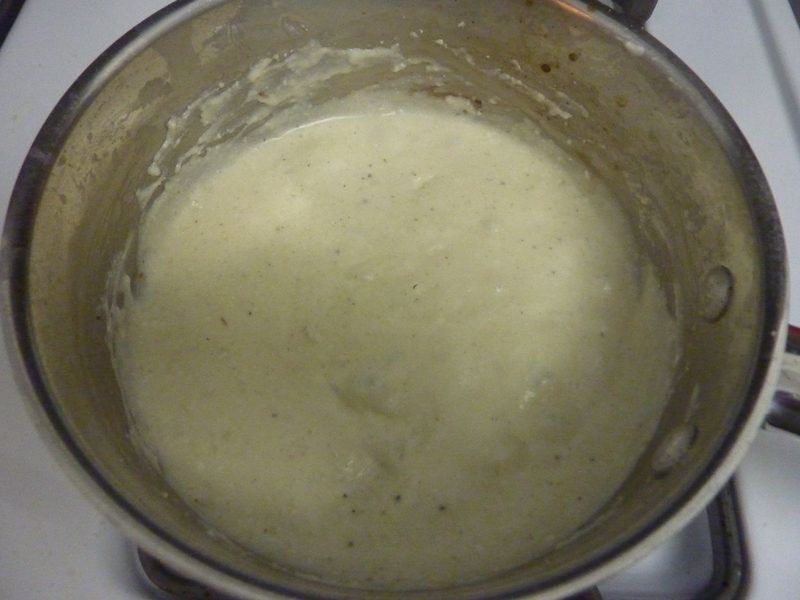 Next you add in your milk, again pouring and whisking constantly. Immediately add cheese (if using) right after the milk. 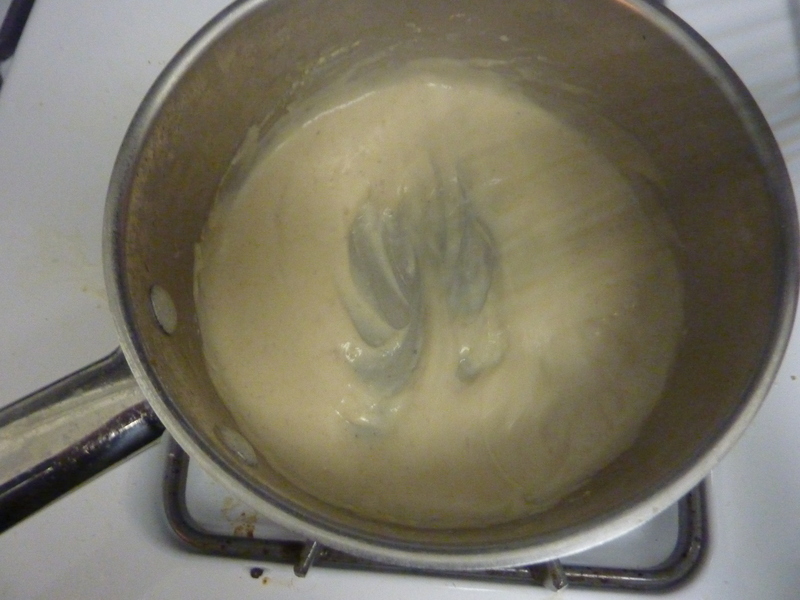 Now you keep whisking, and whisking, and whisking until the sauce finally becomes thick (usually about 3 minutes but it feels much longer when you’re whisking). Ta-da your sauce is done! Hopefully you have been cooking your pasta this whole time so you can get right to enjoying your meal! 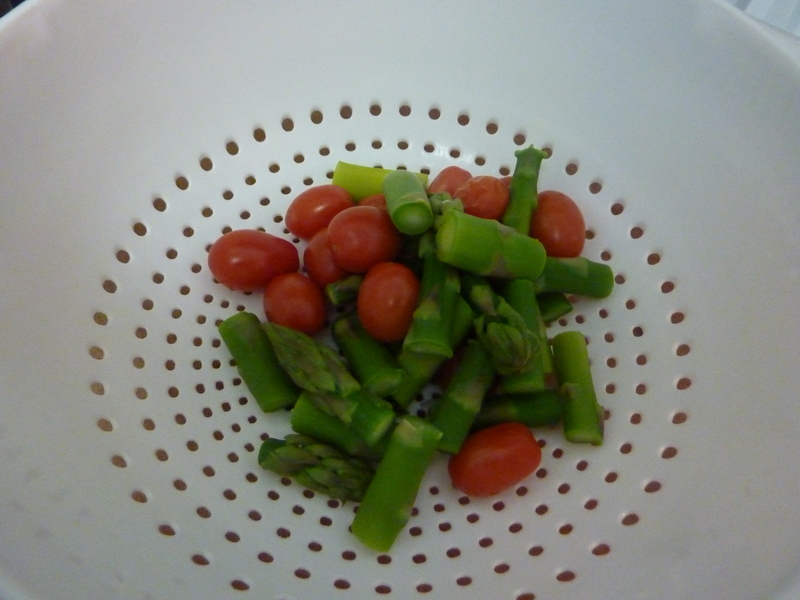 One trick I love is to blanch your choice of veggies in the boiling pasta water (pre-pasta) for about 5 minutes first. And finally you have a meal fit for a hungry king! To me there is nothing more delightful or rewarding than a classic Sunday brunch! It feels so all-American to take some time on Sunday to slow down and enjoy a protein packed brunch along side your paper. 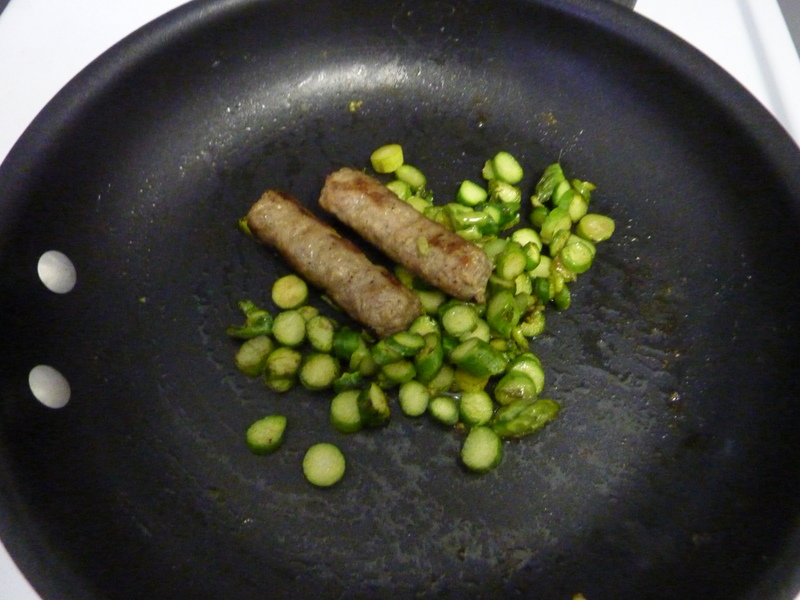 This Sunday I was transported with the help of Applegate Farm’s Chicken and Sage Breakfast Sausage. These guys come frozen and fully cooked – so all you have to do is warm them up in the microwave, or my preferred method, in a pan with your choice of veggies (chopped asparagus). 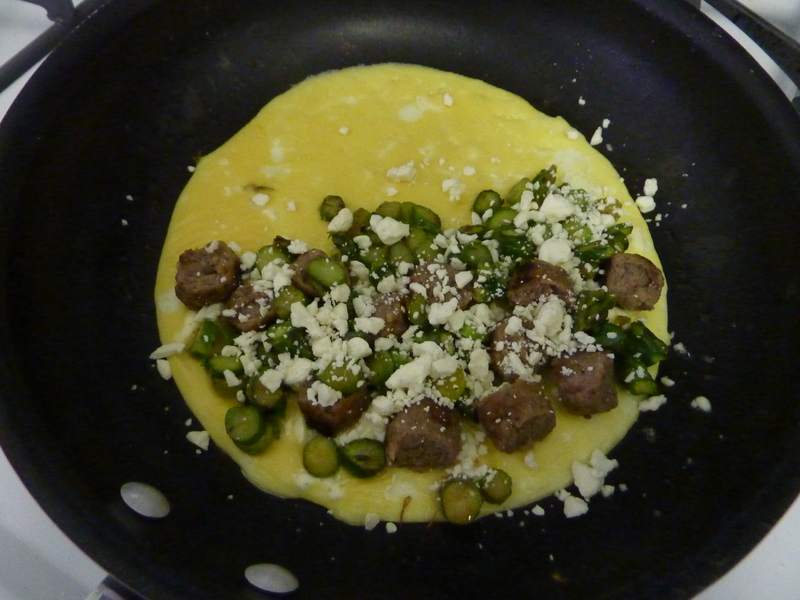 Per my usual omelet method, I pulled out the sauteed ingredients and laid down my omelet base. Instead of adding Sunny Paris or another blend of spices to the egg mix I decided to go straight old-school and let the sage sausage really shine! 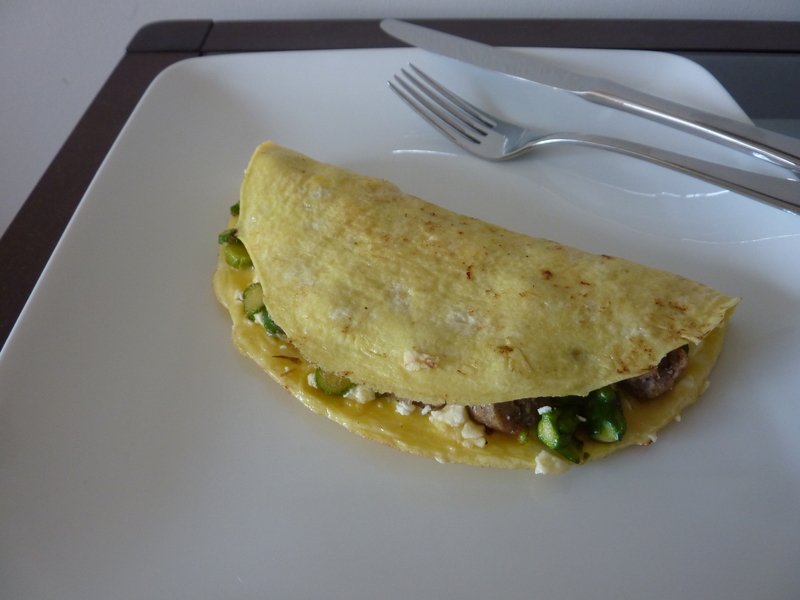 In addition to asparagus and sausage the only other ingredient was a sprinkle of crumbled feta cheese to add some creaminess as well as a little bit of bite. 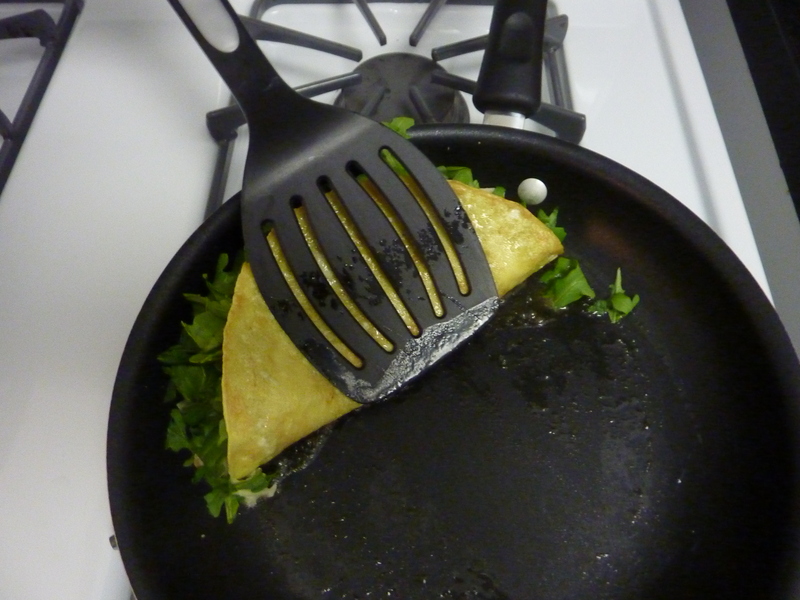 Using my favorite edge of the pan trick and voilà, a lovely little omelet! It’s amazing how flavors and smells can create an experience or bring back a memory. To me that is the biggest reason to take the time for classic Sunday brunch – what better way to end the week than to slow down and take a trip back in time! These two side tables are clearly special. Either would elevate any seating area into your new favorite spot! This rendition of an antique French side table also has an antiqued mirror top – oh là là! While they may look like metal, these garden stools are actually ceramic so the reactive glaze will vary making each one unique! How amazing is this trestle console table! The top is made from vintage doors attached to a carved elm and iron base. However, because each one is unique the dimensions vary from 82-90″ wide – so you’ll need quite a wall for this table! Good looking and utilitarian this rolling cart could serve as an island with an iron structure, mango wood base and kota stone top. This Cuban inspired inward-looking mirror would look darling in a hallway, bedroom or even bathroom! These fun stainless steel architectural salt & pepper shakers would dress up any table! One of my favorite finds in the whole catalogue are these colorful wooden trays – restored and between 70 and 80 years old, their age paired with the bright color is the kind of juxtaposition I love! Thank you Wisteria for more delightful finds to brighten my day! 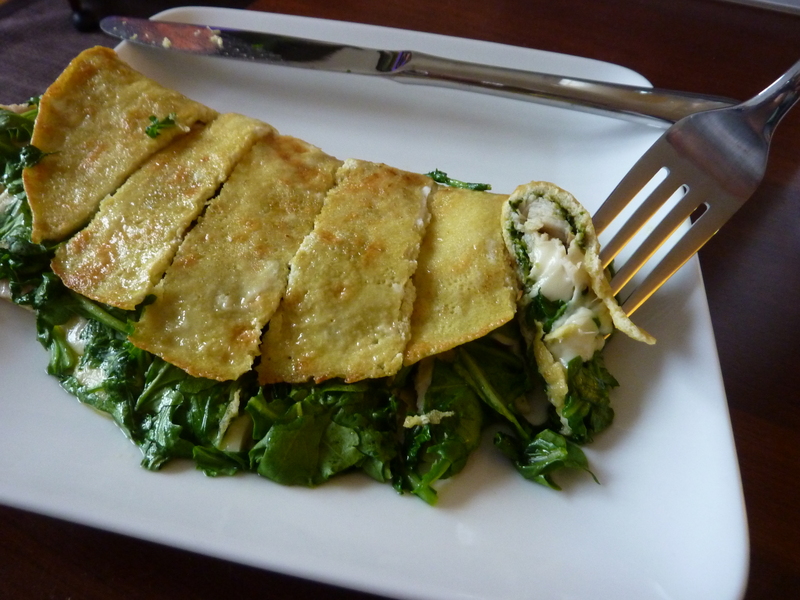 I am a big believer that anyone can throw together a quick and healthy dinner in next to no time flat. Although, like everyone, some nights I simply lack the creativity and motivation to create a meal from nothing. Fortunately the world is filled with shortcuts! One of my favorites builds off the idea of “semi-homemade” – by using pre-made deli salads as a base for stir-fry! Of course I’m not talking about just any deli-salad, my favorite is Fresh Direct’s Italian White Bean and Pearl Pasta Salad. 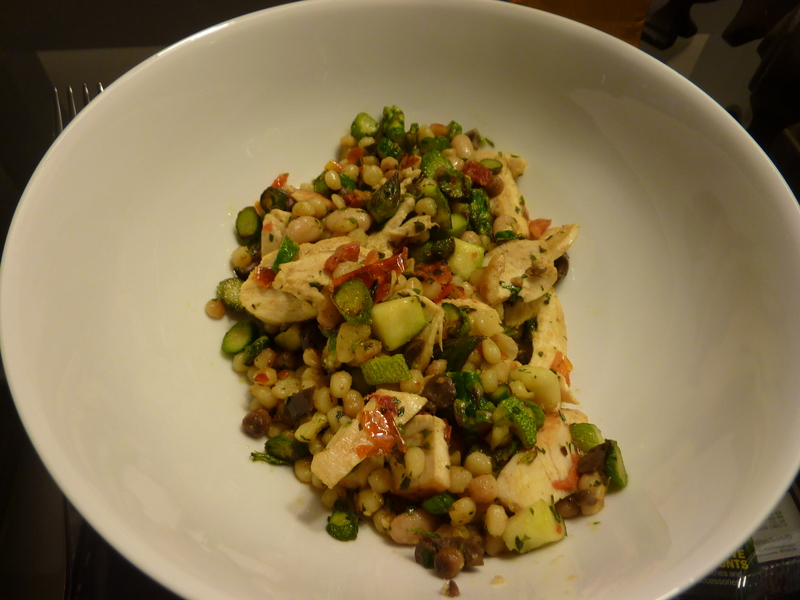 It’s a mixture of white beans, Sardinian toasted pearl pasta called fregola, diced zucchini, roasted tomatoes and kalamata olives with a white balsamic vinaigrette. 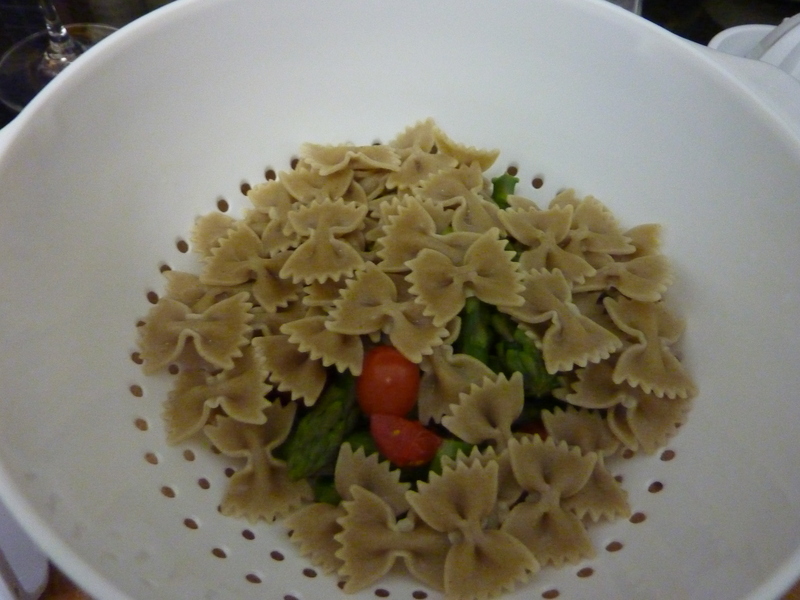 To elevate the pasta salad into a meal I simply stir-fried about 1/3 cup of asparagus sliced cross-wise (4 large stalks) in 1 tsp of olive oil for about 4-5 minutes until soft. Then I added a heaping 1/2 cup of pasta salad with half a sliced grilled chicken breast and sauteed until warm. 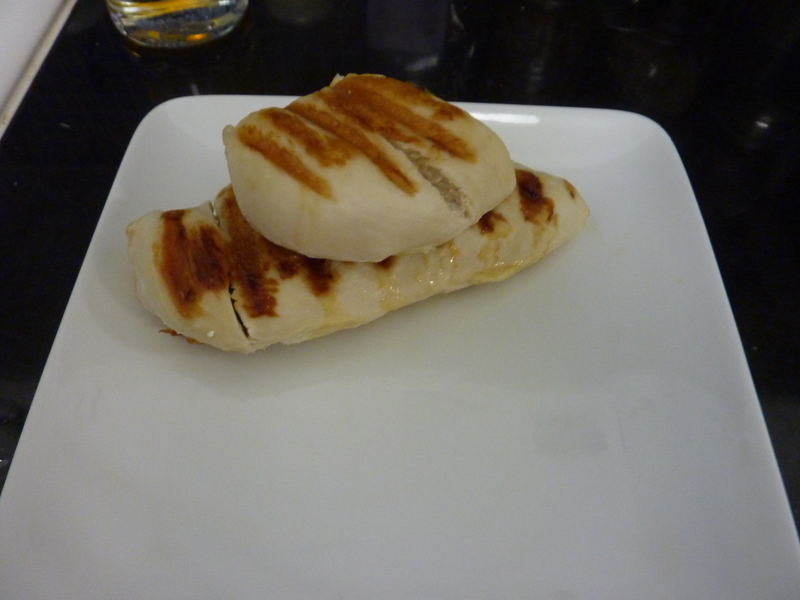 I “grill” my chicken on a George Foreman grill (no joke), but however you decide to prepare your protein be conscious of overcooking it during this second saute. 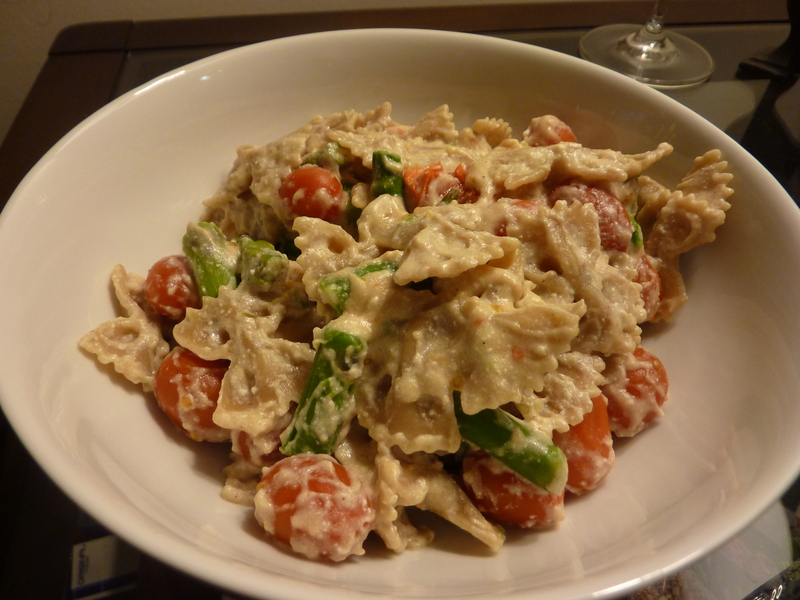 What’s so great about this dish is not only that you can add really any vegetables and protein you have on hand but also that the pasta salad flavors the whole dish – no additional seasonings (or thought) necessary! In my opinion there is nothing more mindless that I can throw together – and it beats the pants off Lean Cuisine any day! At $6 a pint Fresh Direct’s pasta salad is decent deal to boot. I use it not only as an addition to salad’s and stir-fry’s but also plain as a healthy afternoon snack. Of course this idea can be leveraged with any pre-made bean/pasta/grain salad – use your imagination at the supermarket and you could be thanking yourself later in the week! Not only am I so excited to have compleated this step but amazingly the feeling of accomplishment is driving me to actually want to make more! Here is to a busy spring filled with the whirling sound of the sewing machine!